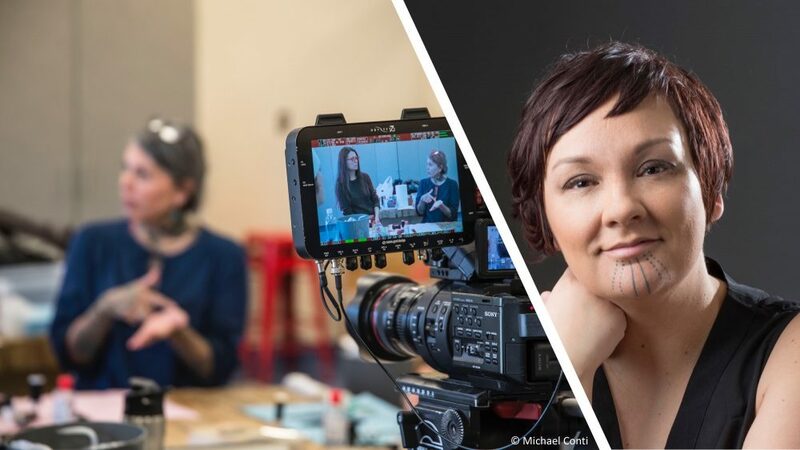 Erin Willahan, Fellow at Polar Research and Policy Initiative, speaks to Alaska-based Iñupiaq artist Holly Mititquq Nordlum about the recent resurgence of Indigenous traditional practices and movements across the Arctic, including in Alaska, and the role that Inuit women tattooists have played and are continuing to play in the process. Even just a decade ago, face markings and other traditional Inuit tattoos were not often seen on the streets of Anchorage, Alaska. But today, their increasing visibility marks a powerful resurgence of Indigenous traditional practices and movements to decolonise Alaska. 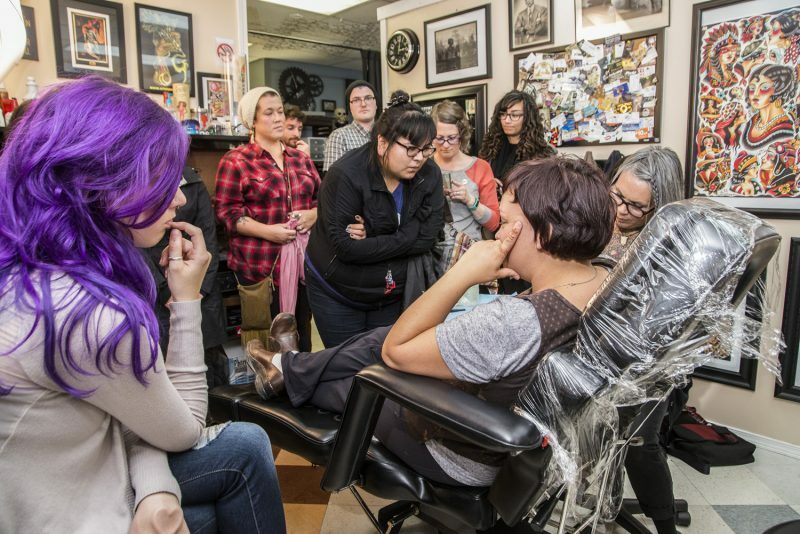 Part of that shift is thanks to Alaska-based Iñupiaq artist Holly Mititquq Nordlum and the other Inuit women tattooists going through her apprenticeship program, Tupik Mi. Along with many other cultural practices, colonisation interrupted the art of skin stitching and hand poking for many years in Alaska Native communities. Believing aspects of Alaska Native cultures to be ‘sinful’ and ‘uncivilised’, when missionaries came to Alaska in the 1900s, they banned Inuit tattooing along with traditional dancing and the use of Indigenous languages. Not only did generations of Alaska Natives endure abuse, trauma, and marginalisation at the hands of missionaries and the US government during this time, but they were also prevented from learning their cultural traditions and passing them down, breaking a link to millenia of traditional knowledge and practice. And even after missionaries left and federally-run boarding schools closed, stigma against Alaska’s Indigenous peoples and their cultural practices lingered. Today, however, efforts to reclaim what was lost to colonisation and heal from generational trauma abound. As one of a myriad of decolonising projects underway in the Arctic, Nordlum’s journey with Tupik Mi began six years ago. This brought her to Maya Sialuk Jacobsen, an Inuit tattooist from Greenland. Through the Anchorage Museum, Nordlum secured funding to invite Jacobsen to Alaska to teach her to tattoo and delve into its cultural significance. From there, the project expanded to an apprenticeship program for Inuit women to re-learn the art of skin stitching and hand poking, tattooing techniques practiced by Inuit women in the Arctic for millennia. Traditionally, Inuit tattoos were done almost exclusively by women and for women, serving as an important rite of passage to womanhood, as well as marking other important moments in a woman’s life. And for Nordlum, along with the growing number of practicing Inuit tattooists going through Tupik Mi apprenticeships, it is about so much more than just the tattoo. 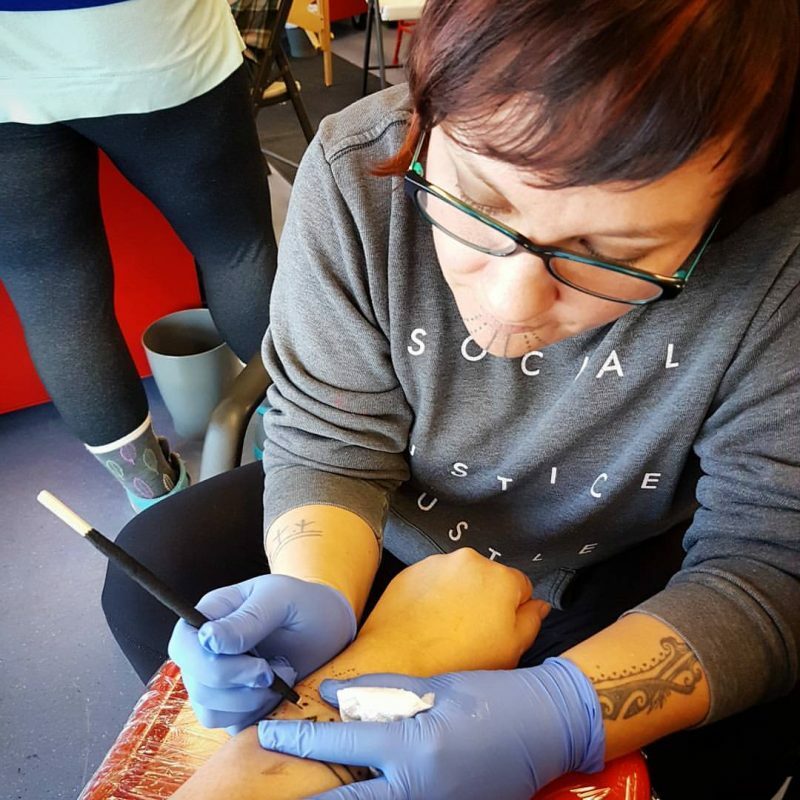 Tattooing also involves processes of healing from the traumas of colonisation – those that affect Inuit women in specific ways. Receiving a traditional tattoo and learning together about its significance can be transformative, and intersects healing, spirituality, identity and heritage for many Inuit women. And Nordlum admits this work involves an intense responsibility. The deep importance of traditional tattoos to healing, identity and reclaiming something that was violently taken is also part of why the appropriation of Inuit tattoos and practices is so harmful. If Inuit tattooing once teetered on the brink of being lost, it is now returning as an integral part of Indigenous identity and culture in the Arctic. And this re-membering of not only tradition, but also a painful past, is a profound aspect of decolonisation. There is little legal recourse for the appropriation of cultural practices such as skin-stitching. But Nordlum says one of the tools Indigenous peoples do have for safeguarding their culture is social shaming. Calling out cultural appropriation online has been effective in some instances. But the theft of Indigenous cultures and aesthetics for non-Indigenous profit and consumption is but one aspect of the pervasive colonial legacies which still plague Inuit communities across the Arctic. In terms of governmental regulation, sovereignty remains elusive. And Nordlum sees licensing regulations imposed on her by the State of Alaska as a frustrating illustration of enduring barriers to Indigenous self-determination. While that case was eventually dropped, Tupik Mi is still operating in a regulatory grey area. Right now, the women practicing Inuit tattooing under the apprenticeship program are technically doing it illegally. In the State of Alaska, all tattooing is regulated by the Board of Barbers and Hairdressers under the Department of Commerce. A seemingly odd and potentially frustrating overseer for Inuit tattooists like Nordlum, who sees Tupik Mi primarily as a cultural practice and program for healing. As a traditional Inuit tattoo artist, whose work is more than aesthetic but also encompasses tradition, culture, healing arts, etc., Nordlum believes there should be exceptions made to the licensing process for Alaska Native tattooists and disagrees that her work should fall under the categories the State has placed it in. For Nordlum, frustrations over regulation have always come to down to a sovereignty issue. And she wants others to see it that way too. And in fighting for sovereignty over the regulation of this Inuit cultural practice, Nordlum hopes to set a precedent for the future, one that stretches across many areas of Arctic governance. 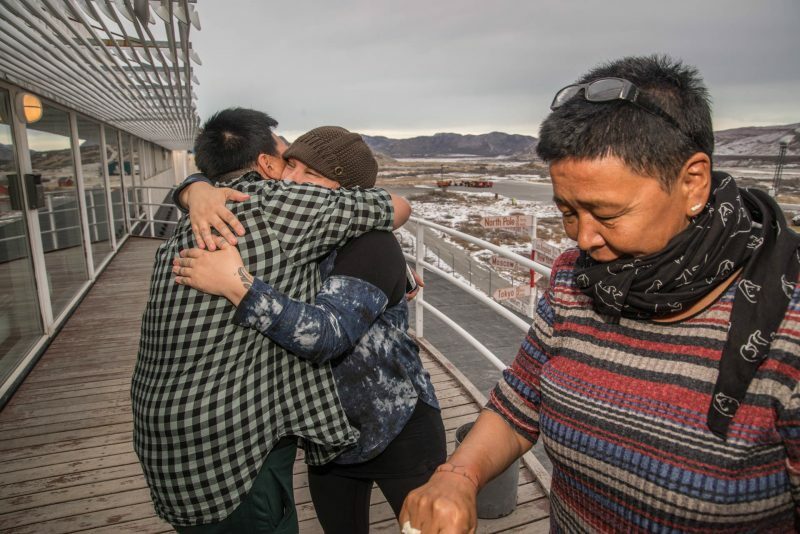 Nordlum’s frustrations with the way Inuit tattooing is regulated in Alaska lends itself to a much wider issue with governance of the Arctic overall. Despite the expertise and growing capacity of organisations like the Inuit Circumpolar Council (ICC), Indigenous voices still often find themselves on the margins of national and international discussions regarding management of the Arctic’s land, resources, and futures. Going forward, non-Arctic countries increasingly vying for inclusion in Arctic affairs is troubling for some. The scramble for the Arctic is especially concerning to Nordlum as an Indigenous person whose seat at the proverbial ‘table’ was hard fought for and still often tokenised. However, in the midst of tumultuous change in the Arctic and the world, there arise unique opportunities to revisit the past and reimagine the future. Where cracks in institutions occur, light can shine through. And in striving toward a future of sovereignty for the Arctic’s Indigenous Peoples, Nordlum is cautiously hopeful. Erin Willahan is a Fellow at Polar Research and Policy Initiative, where she focuses on connecting the intricate social, cultural, and economic realities of communities in Alaska to wider local-global dialogues across the Polar Regions. Born and raised in Alaska, Erin has worked in a range of fields related to Arctic issues. These include facilitating an ongoing project with the Alaska Division of Elections to translate official election materials into Alaska Native languages, research on cultural commodification in tourism, and working as a commercial fisherwoman. She is currently undertaking her M.A. in the Erasmus Mundus Human Rights Policy and Practice program. Her research interests revolve around decolonising Arctic discourse through Indigenous-led resource management policy, environmental justice in the face of climate change, and the ways in which sites of historical injustice are negotiated in North American Arctic communities.